Relieve the hassle of removing your building waste with All Trash OZ at the lowest rate. Contact the team today for the best and most convenient building rubbish removal services in Sydney. Could as much as 80 percent of your rubbish be recycled? Many property owners are surprised when they hear the answer “yes”. They are even more surprised at their quote when the recyclable calculation of their rubbish is taken into consideration. Building waste is often recyclable waste and something that is never ignored at All Trash Oz. Whether demolition or construction cleanup, the experts are here to do that for you. Waste is our business and one that benefits you as our customer. All Trash OZ has the reputation that excels within the industry. Not just getting the job done properly but getting it done right at minimal costs. Great prices – Being the experts in the industry, the best tailored price is here for you. Recycling – Yes, that Building waste rubbish is most likely recyclable. Don’t just think it’s all junk. By recycling as much rubbish as possible, you can assure that we are truly an eco-friendly company. Expertise – Ever wonder how it’s like to have a rubbish-free construction site or demolition? Get the experts and wonder no more! Keep your construction site, or any demolition works in order, so you don’t to hinder your site with a chaotic scene. All Trash OZ are here to get it done for you in the most cost-efficient manner possible. Convenience – Need it done today? Same day Building Rubbish Removal services are available. The team are equipped to arrive when you need them and arrive fully prepared to get the job done. Building waste removal is a specialty for All Trash Oz. Keeping out of your way but getting your rubbish cleared so that your crew is once again efficient. All Trash Oz, the team of experts that get the job done right at first touch. Need your rubbish removed today? Contact us. Are you looking for a reputable service provider and to save money at the same time? Call All Trash OZ. You can assure that your money will not go to waste as we take yours away (your waste that is). This is simply because of the knowledge, manpower, experience and equipment that excels in the industry, making a difference in each job All Trash Oz complete. The company that excels every property owners’ expectations. Leave the rubbish and demo to us. Leaving nothing but a smile on your face. 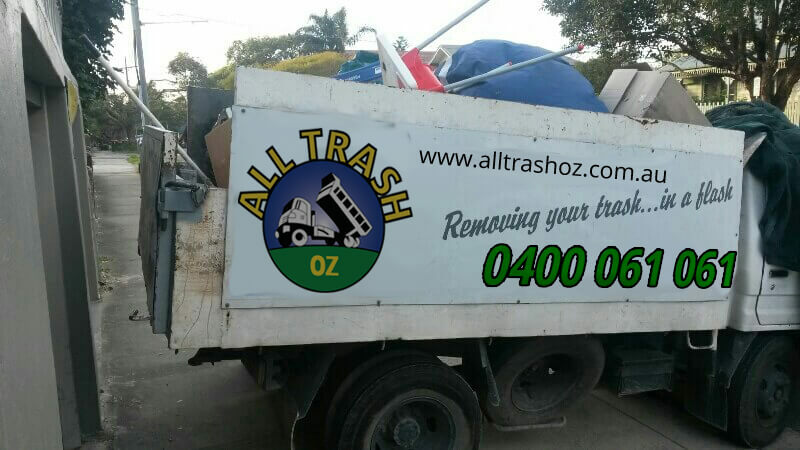 For more information on building rubbish removal services in Sydney, contact All Trash OZ on the number below, or via our “Book Online” form that is located at the top right of this page. When Rubbish does require an expert. Call All Trash OZ for a Rubbish Removal Expert that is cost efficient and effective.